Build meaningful integrations with in-house systems – CRM, ERP, social, and more. Create advanced triggers and alerts. Achieve the valuable use case that you envision. This guide allows you to quickly communicate with the Mautic API. For full API documentation, please refer to https://developer.mautic.org/#rest-api. Mautic supports three options for authentication – Basic Authentication, OAuth1a, and OAuth2. Here, we’ll be using Basic Authentication where your credentials are your Mautic username and password. 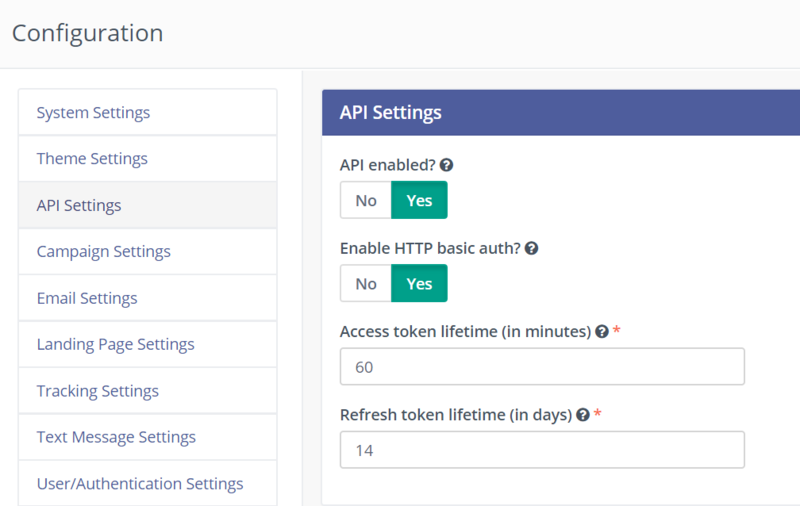 To enable Basic Authentication, navigate to Settings -> Configuration -> API Settings and verify that ‘API enabled’ is toggled to ‘Yes’ and ‘Enable HTTP basic auth’ is toggled to ‘Yes’. Copy down your username and password to use in the upcoming sections. Mautic generally supports GET, POST, DELETE, PATCH, and PUT requests which can be examined in more detail in the API documentation. Successful responses are returned in JSON format. Now that we have authentication and the API request URL, let’s talk to the Mautic API! Choose your preferred environment below and use the code snippets as guides for sending your first Mautic query. Change the [[contact-id]] to the ID of the Mautic contact you want to view. Update your [[username]], [[password]], and [[your-mautic.com]]. Awesome job! You’re working with the Mautic API and on your way to increasing your Mautic impact. If you have any questions or comments on API use, please contact the Customer Success team at success@mautic.com!